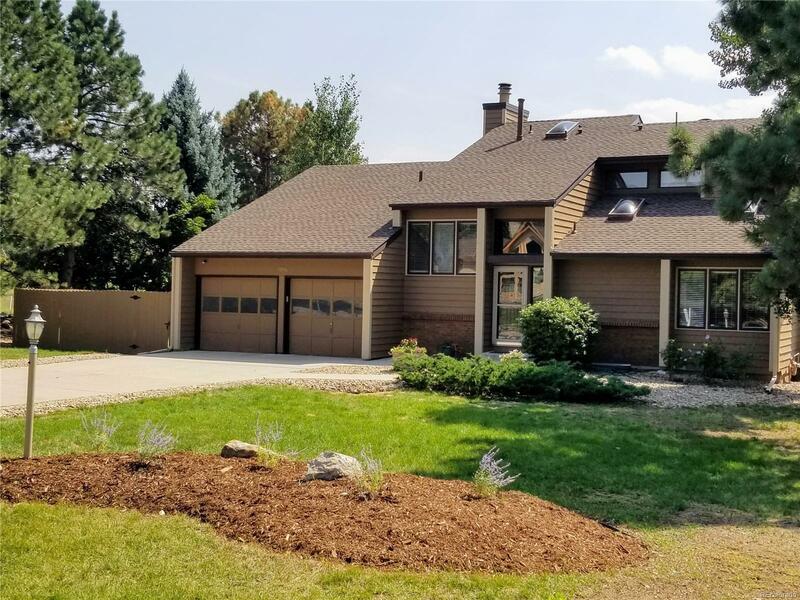 ***BACK ON THE MARKET*** Buyers financing fell through This beautiful home is off the 11th green of The Pinery Golf Course with tremendous views of Pikes Peak and is a rare opportunity. A totally remodeled home in one of the most desirable neighborhoods in all of Douglas county. Visit this home and you will find a custom kitchen with granite counter tops, incredible cabinets, new stainless steel appliances, large pantry, breakfast nook, new carpet, new paint and a master bedroom suite with private deck and incredible dual head shower.... all with views of the golf course and Pikes Peak. Enjoy the SMART features of your new home by controlling your thermostat, garage door openers and even your sprinkler system all from your phone. Refreshed landscaping, newly painted deck and 1 full year of maintenance free lawn care!!! Do not wait. This home will not be available very long.